Are you prepared to dig deeper into your affiliate marketing strategies? After choosing a program, make sure that you research your audience, and establish a connection with customers. Use the tips in this piece in order to learn expert marketing methods that can aid you in relating better to your customers through email techniques and other custom strategies. Take every opportunity to ask customers if they would like to join your email list. This method of marketing can be very successful. Also, put a subscription location on your website so that your customers can opt-in for emails. Promise your customers that you will only email them if you have to send them important information regarding your services or products. Sending personalised emails is best, because clients are more likely to read them if they do not appear to be spam. Your emails may include information about special deals and offers, or they may simply thank the recipient for doing business with you. Staying on top of what your audience desires and what steps your competitors are taking, is important. Don’t become obsessed with your competition, but you should like them on Facebook to see what they are offering. Imagine yourself as one of your customers. Are you getting the best possible customer service? Is your website easy to navigate? Look at it this way, sometimes if you are a doctor you don’t understand how important bedside manner is until you are a patient. Ask your visitors to complete surveys about your site. Use the information you gain to discover the best ways to reach your audience. 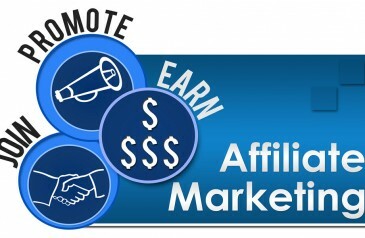 Affiliate marketing requires you to stay on your toes and to be aware of trends and new ideas. First, you need to establish a business foundation, and then you need to work on expanding your customer base. The internet is an important factor in being able to interact with current customers as well as potential customers. Use the tips in this article to help you make the most of internet marketing.